Do you feel like you don’t have enough hours in a day to do all your tasks? This workshop will teach you how to think of time as a valuable and finite resource and to use it efficiently! 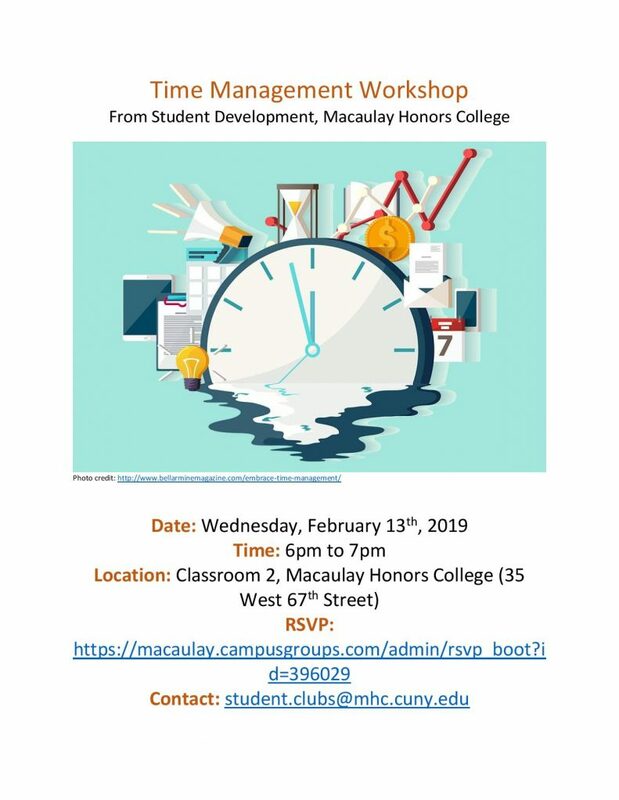 Macaulay Honors College 35 W. 67th Street, New York, NY 10023 ©2019 Macaulay Honors College. All rights reserved.